Farming runs in the family for Trina Moyles: her great-grandmother emigrated from Ireland to Saskatchewan in 1925 and took over the running of the family’s farm when her husband and son left to fight in the Second World War. Women’s wartime contributions are well known, but today their agricultural achievements are often overlooked, especially in the developing world. 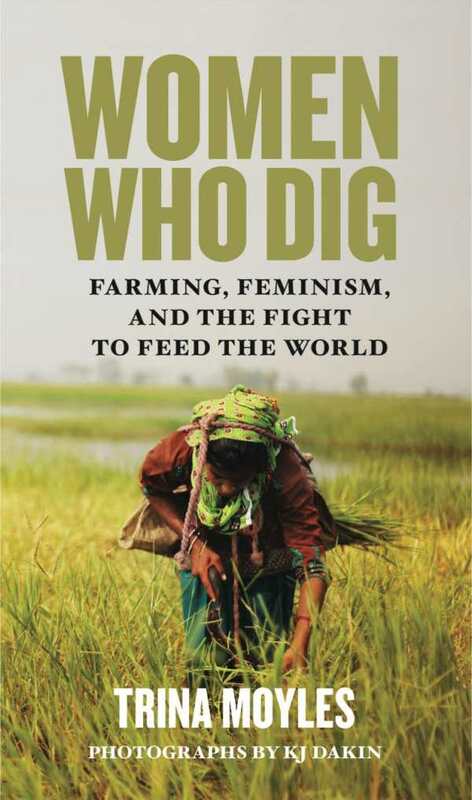 Moyles goes a long way toward correcting that deficit with Women Who Dig, a narrative based on stories gathered over three years of travel and interviews with more than 140 women on the front lines of modern food production. Moyles visits eight locations in Africa, Asia, and the Americas. “A woman without land is not a woman,” she’s told in Uganda, yet that country’s amended Marriage and Divorce Bill of 2013, which would have granted property rights to women, was rejected. In Guatemala the elite mestizos hold the power, while the Mam, one of twenty-four indigenous peoples, grow hillside crops just for survival. Meanwhile, the livelihood of women who produce food in Nicaragua is under threat from African palm oil plantations that replace the rain forest. Closest to home—and most wrenching—is the plight of undocumented laborers in Sonoma County, California’s vineyards. These women work for $12 an hour, have no social safety net, and are vulnerable to sexual attack. Moyles is sensitive to such physical dangers and imbalances of power. But she also highlights female farmers’ ingenuity, such as Congolese refugees making the most of small spaces and Cuban farmers incorporating permaculture techniques.